17th anniversary of the September 11 terror attacks marked, mourned at Portland Firehouse 21. 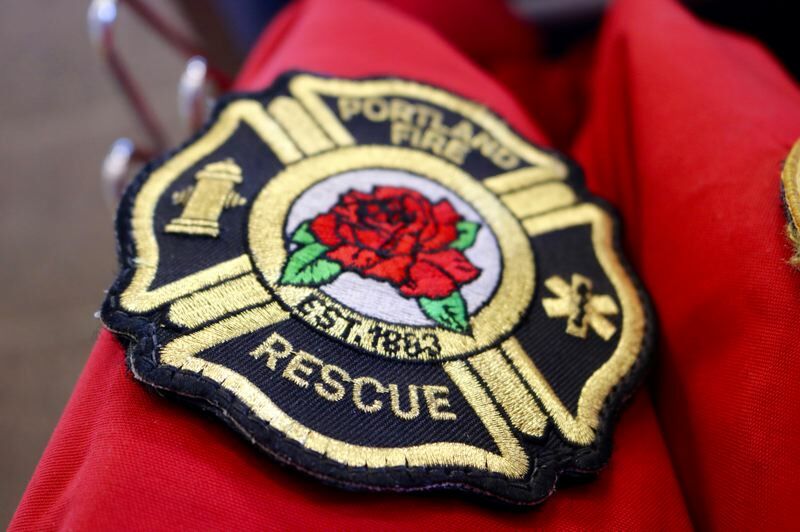 Those words were proclaimed and silently prayed by the dignitaries and first responders who tramped in from the rain and gathered for a solemn ceremony inside Firehouse 21 on Tuesday, Sept. 11 in Southeast Portland. City officials and the public marked and mourned the 17th-anniversary of the terror attacks that changed the nation — and the world — in 2001. Almost 3,000 people died, and twice as many were injured during four separate attacks in New York City, Virginia and Pennsylvania. 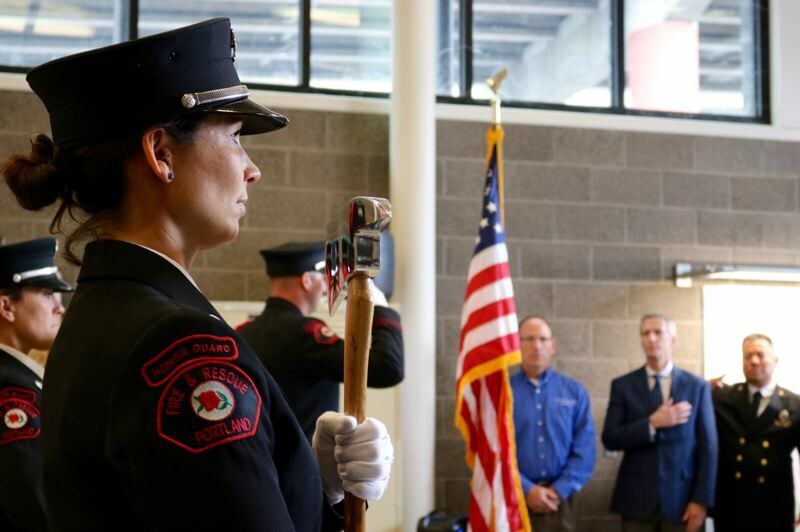 Tamara Eidler, a firefighter in Portland for the last eight years, carried a gleaming axe as other members of the honor guard proceeded forward and saluted the flag. A bagpiper carried the tune. "I just feel honored being part of it," she said of the ceremony, which paid special attention to the 343 firefighters and 60 police officers who were killed after two hijacked planes crashed into the World Trade Center almost two decades ago. More than two-thirds of the fallen firefighters were inside the South Tower — many storming up flights of stairs while others worked in a temporary command post set up in the building's lobby. 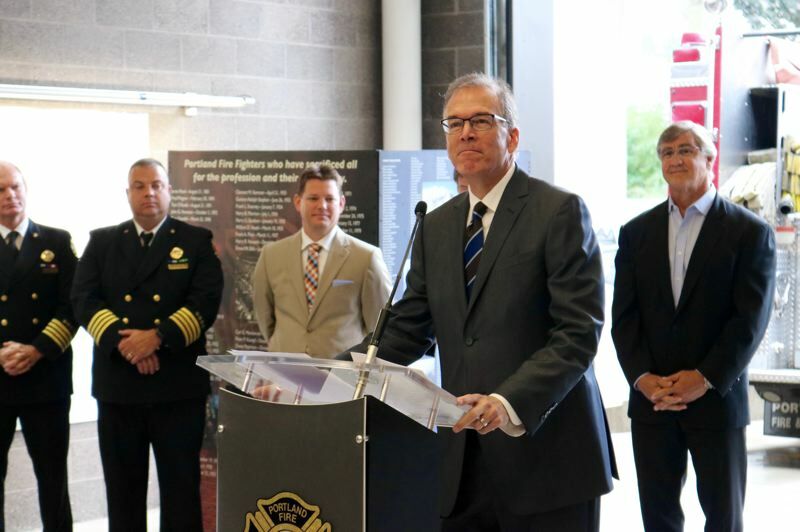 "That leadership and that bravery continues to this day," said Mayor Ted Wheeler. Commissioner Dan Saltzman, who oversees the city's fire department, praised the heroism of the first responders. "It is our day of infamy," Saltzman said. "On this day, too, we are all New Yorkers." Commissioner Nick Fish, who was born and raised in the Big Apple, noted that he lost friends and acquaintances on that dreadful day. His brother was living in an apartment building "in the shadow of the World Trade Center" and had to evacuate for more than a year. "This was as defining a moment for me as it was for everyone in our generation," Fish said. Someday, a memorial to 36 local firefighters who died in the line of duty and 37 who succumbed to service-related illnesses will stand just north of Firehouse 21, 5 S.E. Madison St., near the Hawthorne Bridge and the Eastbank Esplanade. The David Campbell Memorial Association continues to raise funds for the project. "We gather here to honor and remember those who exchanged their lives for the safety of others," said Terry Shanley, the board president of the association.